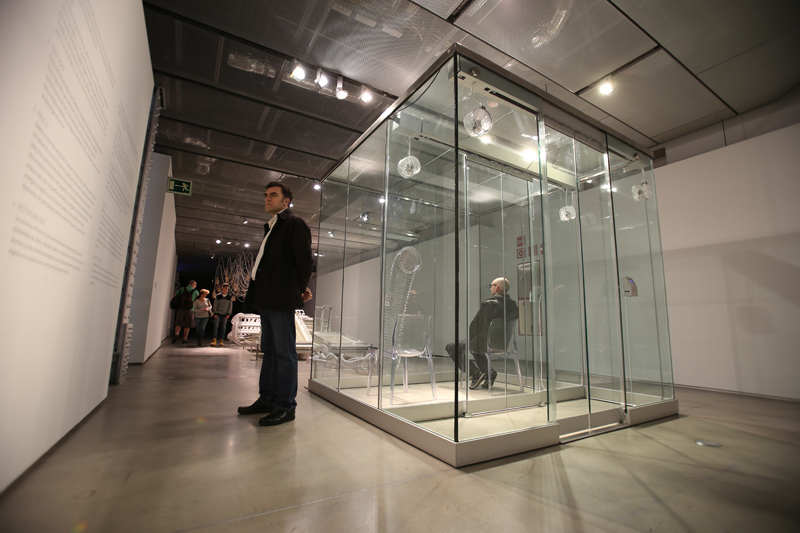 Vicious Circular Breathing is a hermetically-sealed apparatus that invites the public to breathe the air that was previously breathed by participants before them. 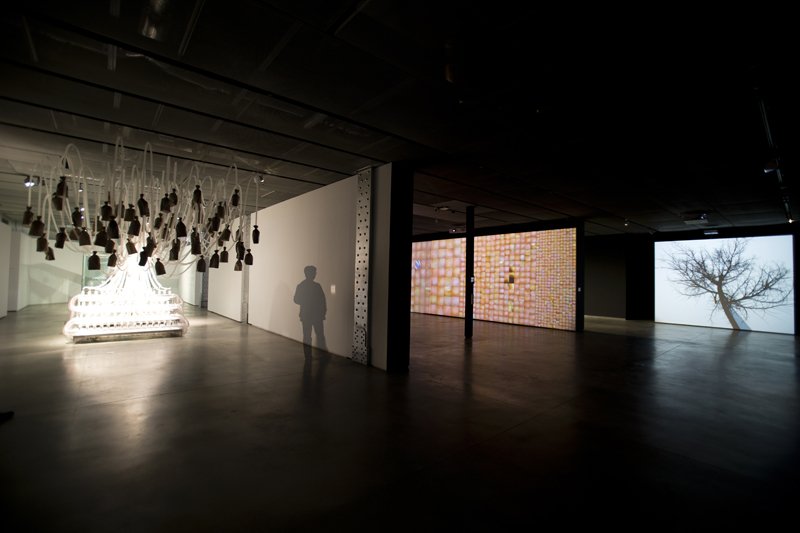 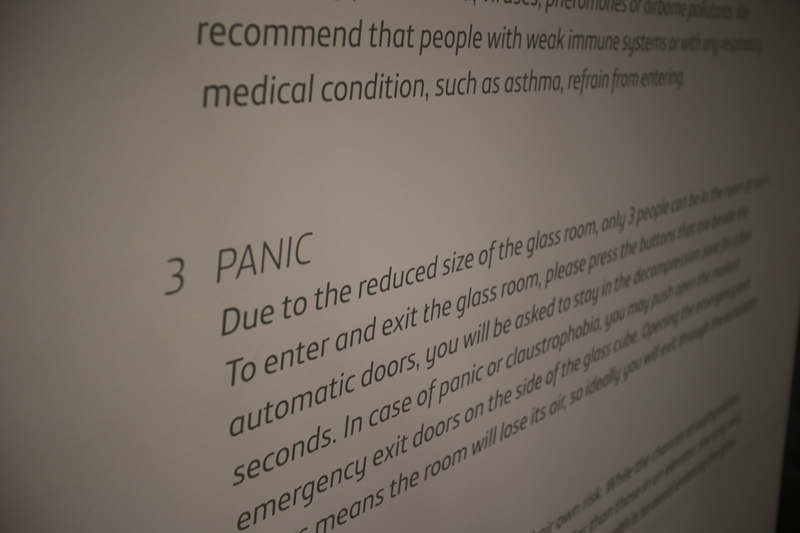 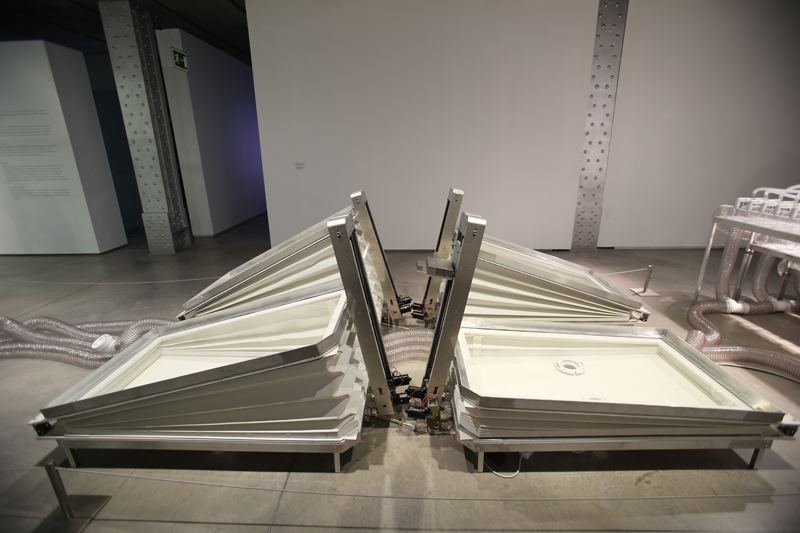 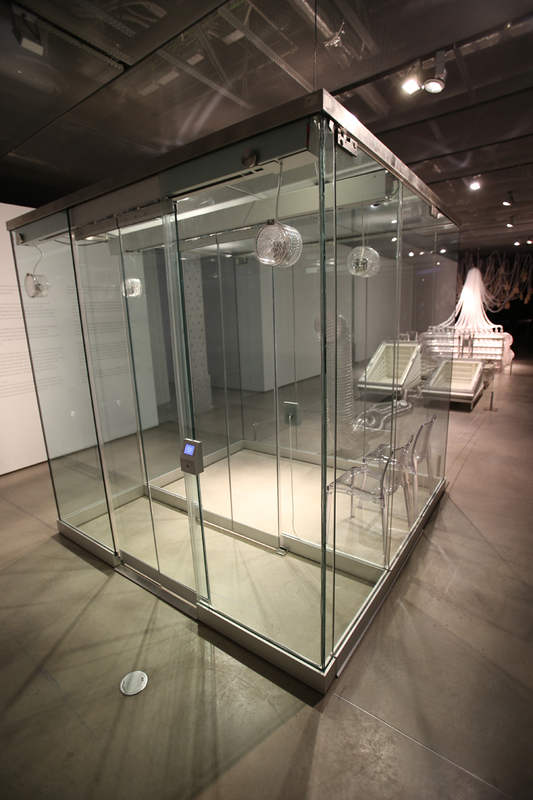 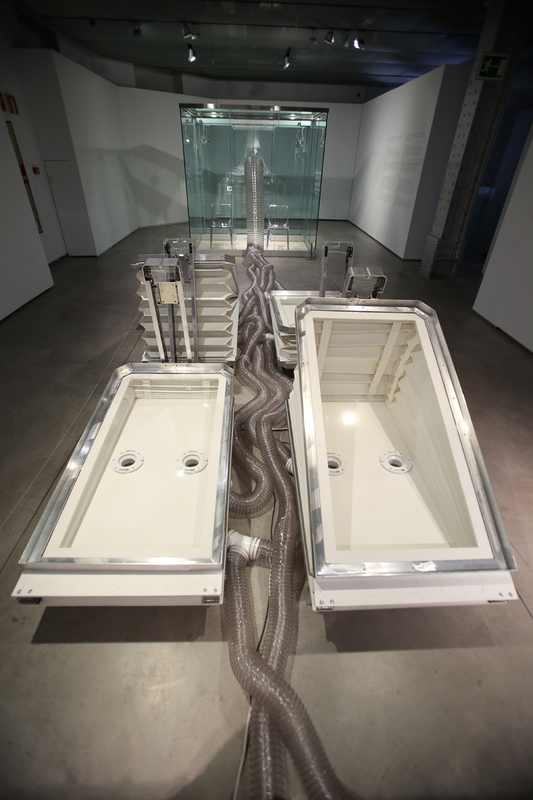 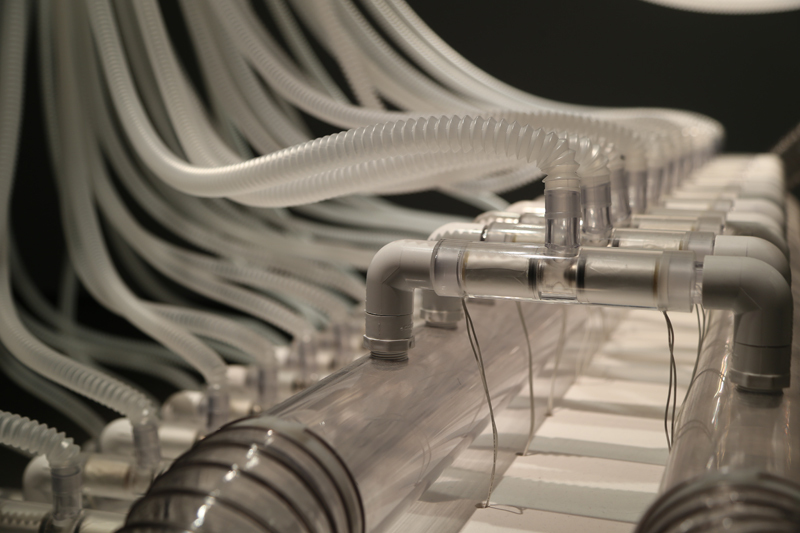 Commissioned by Borusan Contemporary in Istanbul, the installation consists of a glass room with double sliding doors, two emergency exits, carbon dioxide and oxygen sensors, a set of motorized bellows, an electromagnetic valve system, and 61 brown paper bags hanging from respiration tubes. 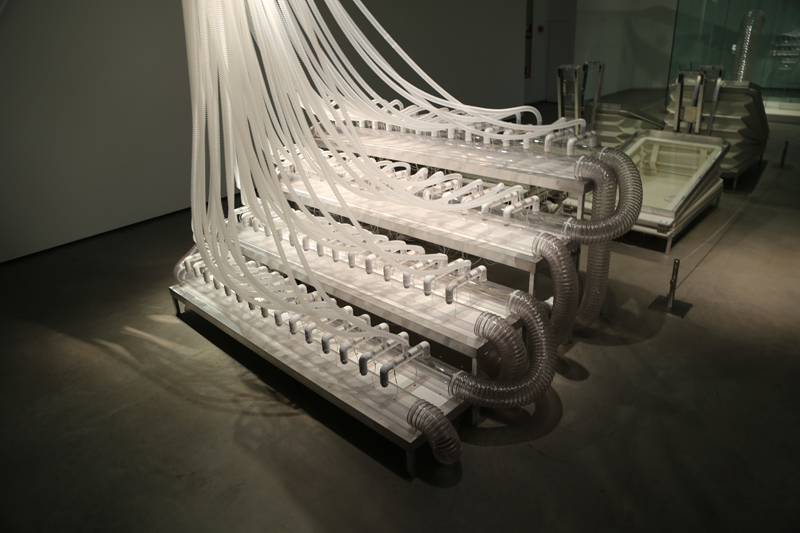 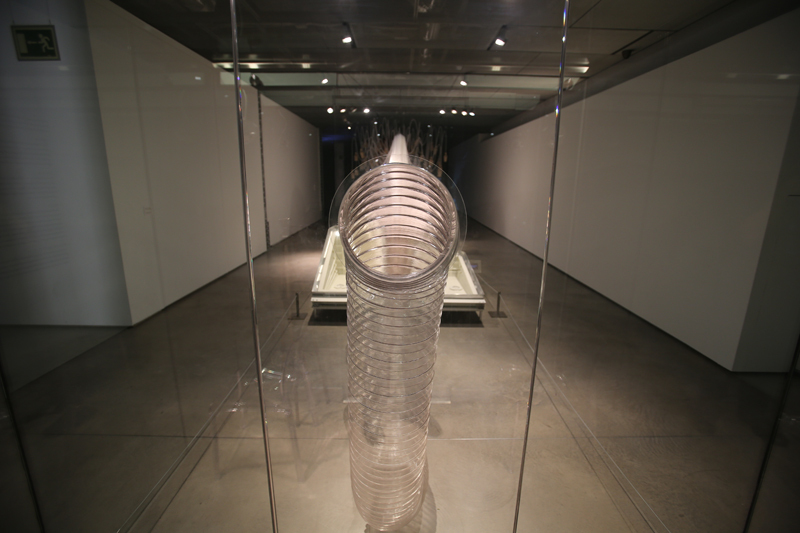 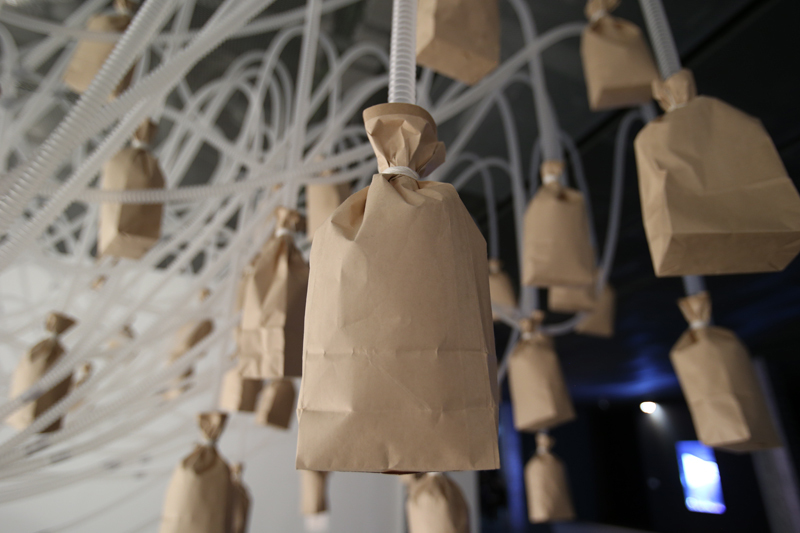 In the piece, visitors� breath is kept circulating and made tangible by automatically inflating and deflating the brown paper bags around 10,000 times a day, the normal respiratory frequency for an adult at rest. 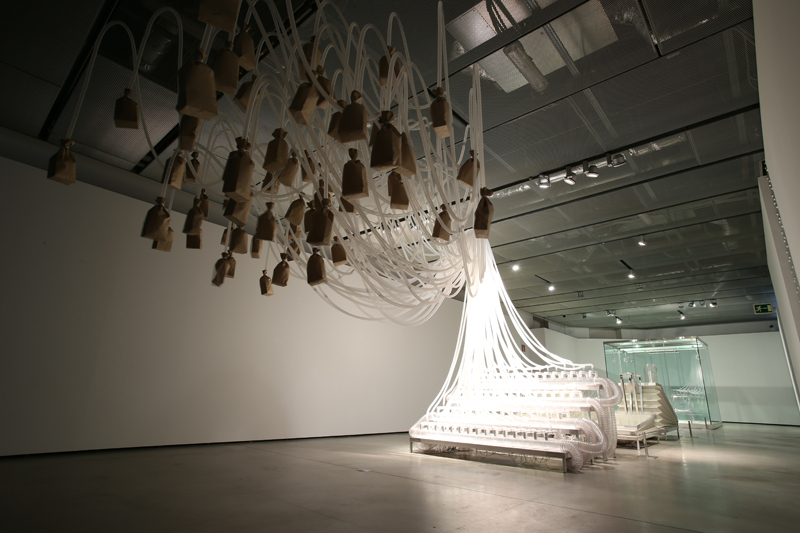 There are 61 bags because that constitutes 5 octaves which is a typical range of musical organs which inspire the design.